11 year old Siri performed a Natesha Kauthuvam at Nalco-Ecolabs Diwali celebrations. It was Siri's first public performance and she did an outstanding job. Here are some glimpses of the event. 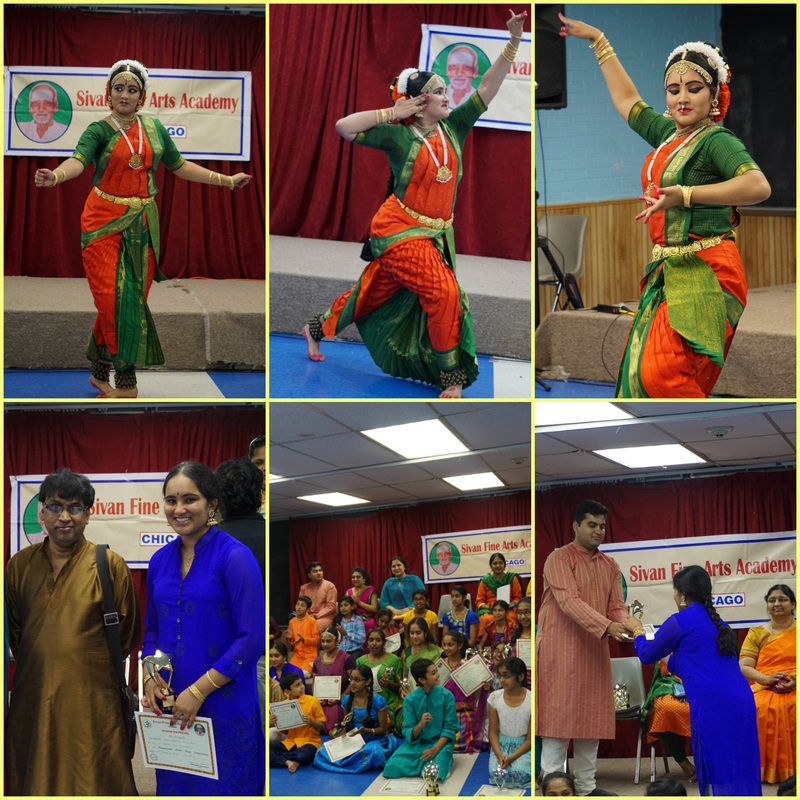 Shoba Natarajan had the opportunity to collaborate with local singers to present songs composed by K.Vishwanath at the Diwali/Dasara celebrations of the Telugu Association of Greater Chicago. The event was received with great enthusiasm. Congratulations Spurthi for winning the first place in the Papanasam Sivan competition!!! Samskriti student Spurthi Palavalli participates in Papanasam Sivan competition. She is performing a Kuchipudi piece "Sri Ganesha Sharanam". This is a matter of great pride as this is the first time a Papanasam Sivan kriti in Tamil has been choreographed in the Kuchipudi style. The choreography has been done by Shoba Natarajan.